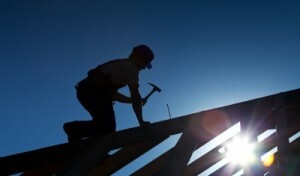 Has your roof suffered storm damage? Has years of poor maintenance led to broken slates? Whatever the problem may be, we provide unrivalled roof repairs in Bournemouth. As soon as your issue arises, choose ProRoofing for the best comprehensive roof repairs in the area. Your roof is an integral part of your property, so when something goes wrong, you shouldn’t settle for anything less than the best repairs company in Bournemouth. Many factors can contribute towards roof damage, such as poor insulation or substandard installation, but we have the skills needed to amend these issues immediately. When you get in touch, we will arrange to come to your Bournemouth property as soon as possible to carry out the necessary repairs. Firstly, we will quickly assess the issue by conducting a structural survey, and then decide on the best, most effective repair options for the job at hand. Once this has been decided, our team will get to work right away, making sure that we tailor our services to the needs of your roof. Our team are also fully qualified to carry out repairs in Bournemouth for chimneys. Whether your chimney needs repairing, replacing, or removing, we will complete the task to the highest standard. All work comes with a minimum 10-year guarantee and we finish roof repairs as quickly as possible without compromising on quality. At ProRoofing, we have 30 years’ experience in roof repairs and have established a superb reputation throughout Bournemouth for the quality of our services. Over the years, we have carried out roof repairs for both residential and commercial properties, ensuring that every client receives a first class customer service. If you have any questions at any point during your Bournemouth roof repair, do not hesitate to ask our roofers for their expert advice. Whether your property requires a patch repair or a complete renovation, we are the ones to call. We will tell you if the issue can be resolved with a simple repair, or if a new roof would be more cost-efficient, depending on the severity of the damage. No matter how extensive the damage is, we always stick to strict deadlines to ensure your Bournemouth home or workplace is fully functional again in no time. With our expertise, you can rest assured that your roof in Bournemouth will be transformed into a well-designed, structurally sound addition to your property. Health and safety is a significant aspect of our work and we make sure that all roof repairs are completed in a safe and professional manner. From the moment we take your call to when your roof is fully repaired, we guarantee that your expectations will be surpassed by our services. If you require prompt and professional roofing repair Bournemouth, contact ProRoofing for a free quote today on 01202 518 763.